Which Laser System Do We use? Can All Skin Colours be Treated? What Other Treatment Methods are Available? The presence of either unwanted hair, spider veins, thread veins, fine lines, wrinkles, acne or pigmentation in certain regions of the body, may be acceptable for some people, but not for others. This can be, for many people, uncomfortable to live with. Essential Beauty can help. There are a number of traditional methods of dealing with these treatments – all of which can be painful, time consuming and expensive over time. 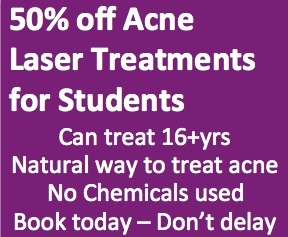 Using laser technology can be effective, more cost effective and less down time than other treatments. Since 1995, lasers have become the ‘gold standard’ method of a variety of treatments. 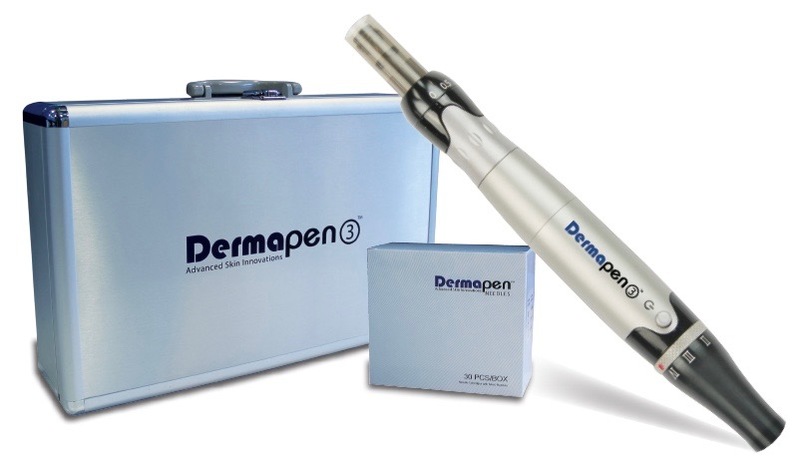 More recently intense pulsed light systems (IPL) have increasingly been used as an alternative. Not all lasers are equally effective for all the different combinations of hair types and skin colour. For this reason, Essential Beauty offers a laser system which can adapt to skin and hair types using the eMax to ensure optimal treatment. Our expert team has experience and rest assured you are in safe hands. All procedures at Essential Beauty are performed by fully trained and qualified therapists. To ensure the highest ethical standards are maintained at all times, staff at Essential Beauty are never offered bonus incentives to sell treatments. Essential Beauty works with the Candela eMax machine to ensure optimal treatments are reached each time. Hair Removal: Lasers and IPLs deliver a short burst of light onto the skin’s surface. The light is converted into heat at the hair follicle. Heating the follicle stops any further regrowth of the hair. Lasers emit high energy at one specific wavelength (colour) in a single beam of light. Acne: Elos technology combines bi-polar radio frequency and blue light energies to penetrate the skin, precisely targeting and destroying acne-causing bacteria as well as slowing excessive sebaceous oil production. Elos not only helps reduce active acne, it also speeds up the healing time of existing acne. Pigmenation & Vascular: The combined bi-polar radio frequency and light energies of elos technology precisely and safely target pigmented lesions such as freckles, sun spots and age spots. Vascular lesions such as spider vessels and redness from rosacea are also lightened and gradually fade. Sking Tightening: The combined bi-polar radio frequency and light energies of elos technology precisely heat the dermal tissue within the target treatment area. This stimulates collagen production and produces a firming effect in lax skin. Wrinkles are reduced, noticeable lifting can be observed and the texture of your skin becomes smoother, more luminous and toned. On average 4 to 6 treatments are needed at 4, 6 or 10 week intervals. 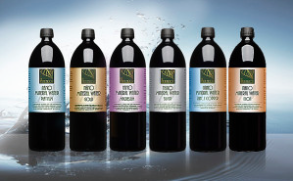 The exact number of treatments depends on several factors including hair colour, skin colour, hair density, site of hair growth, how long you have had the condition, genetics, bodies ability to heal itself, cell regeneration. 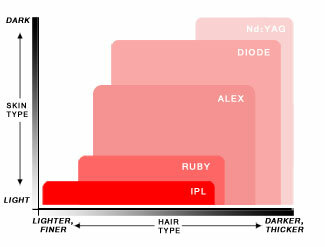 Hair Removal: Lasers can work on all skin types (1-6), but IPL can only be used on skin types 1-4. 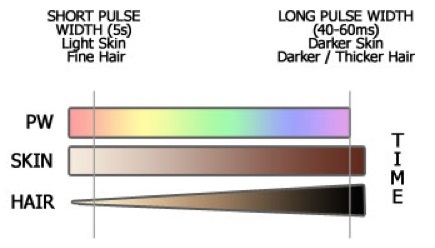 They work best on dark hair because the pigment, melanin, absorbs the laser light. Fair hair can respond well, but white hair, grey hair, very blond hair and some types of red hair respond poorly to lasers and IPL’s unless stained using a special melanin encapsulating solution. Skin Rejuvenation: (Acne, Skin Tightening, Pigmentation, Vascular) Lasers can work on all skin types (1-6), but with IPL it depends on which treatments you are performing as only certain skin types can be treated. Hair Removal: In practice no single laser system destroys all hair follicles. Some follicles are destroyed, others are miniaturized and some enter a prolonged resting phase. It is possible with between 4-6 treatments, true hair reduction can be achieved. Due to certain changes in your life e.g. pregnancy and menopause this can stimulate hair growth and awaken resting hair. Also stress and drugs can cause hair growth. You may need a top up after about 10 years. Acne: The acne treatment will considerably help and reduce the over-production of oil in the sebaceous glands, but things like, bad diet, monthly menstural cycles, stress, drugs, etc can still create acne. Your therapist will advise you as best as possible with regards to diet, possibly having an allergey test completed, so to help combine a two pronged approach working on your internal and external environments. Skin Tightening: This treatment would be worked into your normal rountine, whether it be monthly or bi-monthly with your facials. Pigmentation: As you age you can't stop pigmentation from happening, but you can reduce how much pigmenation you get by using sun protection (minimum SPF30), wearing a hat and sensible sunbathing. Once treated you need to make sure you follow the aftercare instructions to stop further pigmenation from appearing. Vascular: Vascular lesions happen due to a number of reasons, poor circulation, pregnancy, etc. The treatment dramatically reduces and can remove spider veins and thread veins. Again its the size and number of veins which will determine the number of treatments. Also homecare is also imperative to the treatment and upkeep afterwards, e.g. good diet and plently of exercise to keep your vascular system active, responsive and healthy. A sluggish cardiovascular system doesn't help your arteries or veins. There are a number of traditional methods for acne, hair removal, thread veins, spider veins, pigmentation, skin tightening – all of which can be painful, time consuming, expensive or only temporarily effective. Powerful cooling devices lower the skin’s surface temperature during the procedure ensuring that most patients experience no more than a mild stinging sensation. Redness, and some discomfort of the area (like sunburn) may be present for the first few days following treatment. Blistering may occur in a small minority of patients, and this settles without treatment in a few days. Rarely, the pigment in the skin may be affected resulting in the treated area appearing lighter or darker. This almost certainly settles in time. All procedures at Essential Beauty are performed by fully trained and qualified therapist. There is no evidence whatsoever to suggest that laser treatment can lead to skin disorders or an increased risk of skin cancer. Our laser centre meets the local council standards, ensuring the highest level of safety for our patients. Our lasers have full CE clearance in Europe. If you have any further questions, please do not hesitate to contact us and we will be happy to answer and assist you with your enquiries. Book a complimentarty consultation today! Click here for our Terms & Conditions.